The Lady Hamilton Portsmouth first traded as “The Nags Head” as a public house in 1716. Closing in 1920 the pub then became a wine merchants supplying the Royal Navy. The premises then became a bookshop which was part of Gieves & Hawkes who incidentally made the uniform that Lord Nelson died in. In 1992 the building was then purchased by Bill & Rose Scott who converted it back to its former glory of a public house. In 2014 Bill & Rose retired and the building was then sold to Lim family. After a mini refurbishment the pub now hopes to once again continue to serve you one of “the best roasts in town” with many of the former staff back in the kitchen ! 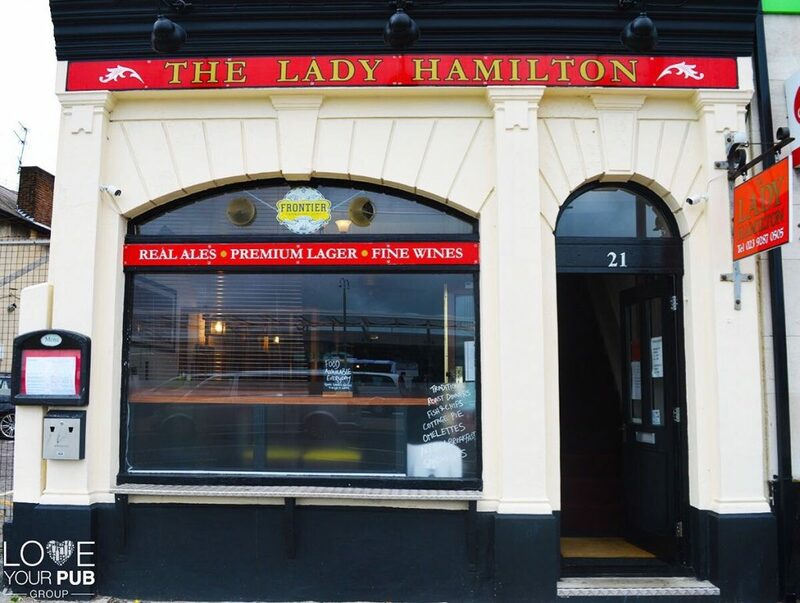 The Lady Hamilton Portsmouth bar is stocked with premium beer, ciders and 2 guest ales on the handpull. Bed & breakfast accommodation is also available with stunning views across The Hard. Being based in The Hard means that the Lady Hamilton has many advantages; it is easy to get to, close to Gunwharf Quays shopping centre and a stone’s throw away from some stunning harbour views. The inside of the pub has a very quintessential English feel to it – a throwback to days gone by for punters. Don’t be fooled, however; this restaurant has all the flair of a modern public house. According to many of the locals, the roast dinners, available every day, are absolutely divine, with a complete selection of meats and veg piled onto the plate, it will leave visitors feeling very satisfied indeed; if it takes your fancy, wash it down with a craft ale or two afterwards.